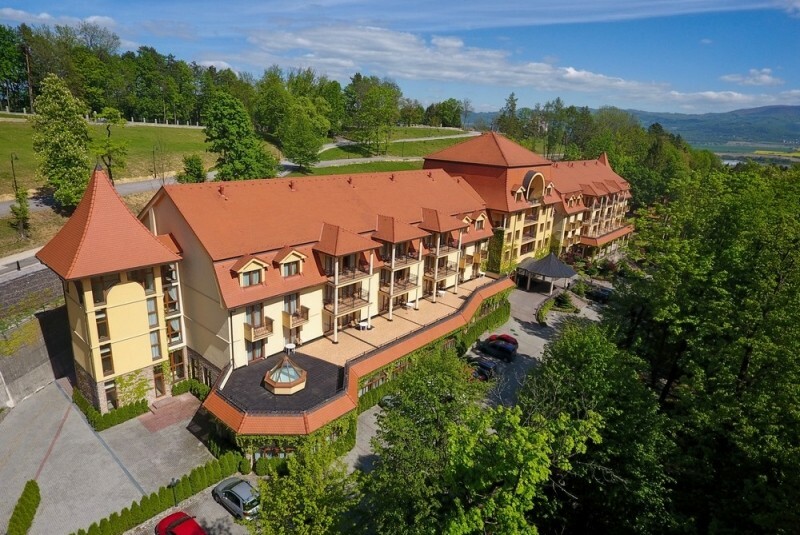 Plan a trip to Bojnice and experience its fascinating cultural, historical and scenic attractions. 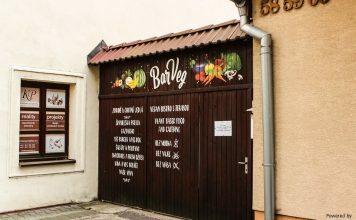 Let’s make your trip to Bojnice unforgettable and packed with amazing local tips! 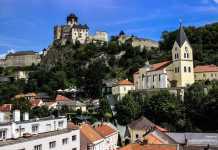 Bojnice is a small town in the Trenčiansky Region, located a 2-hour drive from Bratislava. If you do not own a car, we really recommend renting one. There are no direct bus or train connections to Bojnice from Bratislava. If you have no other option, the best public transport alternative is a train or a bus to Prievidza and a local bus from Prievidza to Bojnice (this would take you 3+ hours of travelling). There are several parking lots close to the Castle, Zoo & the town center for approximately 5 € for the all day parking. Bojnice is a small jewel of Slovakia. As small as it seems at first sight, it will surprise you with beautiful atmosphere, numerous local events and quite a few sights to explore! Some of them are bound to a specific season, though. 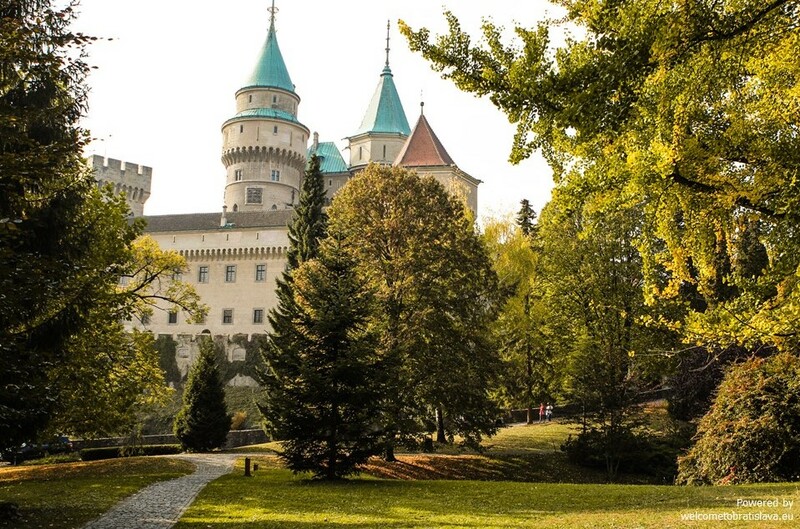 Bojnice is mostly known for its beautiful castle with a picturesque park and the oldest Zoo in Slovakia. 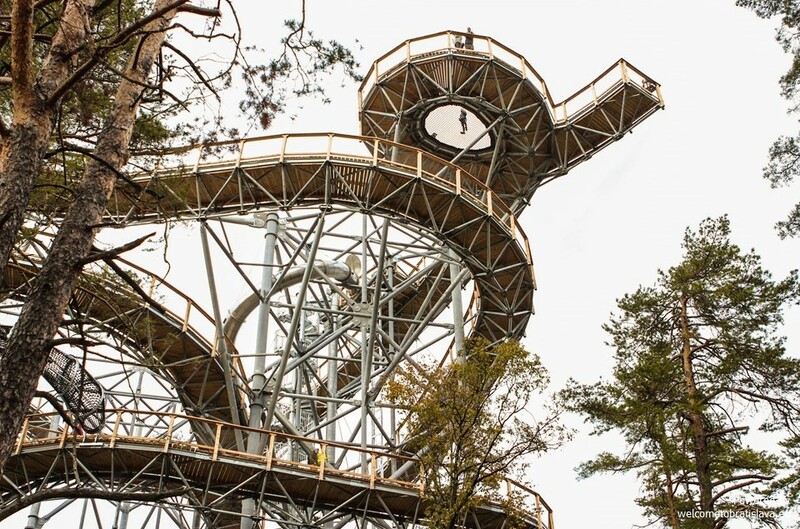 You would be surprised to find many more activities here – cycling paths in the hills behind the castle, a falconry, historical fencing, a spa, a mirror maze, an escape room or Museum of Prehistory. We have prepared an itinerary for one day in Bojnice, however, we recommend spending more days here. 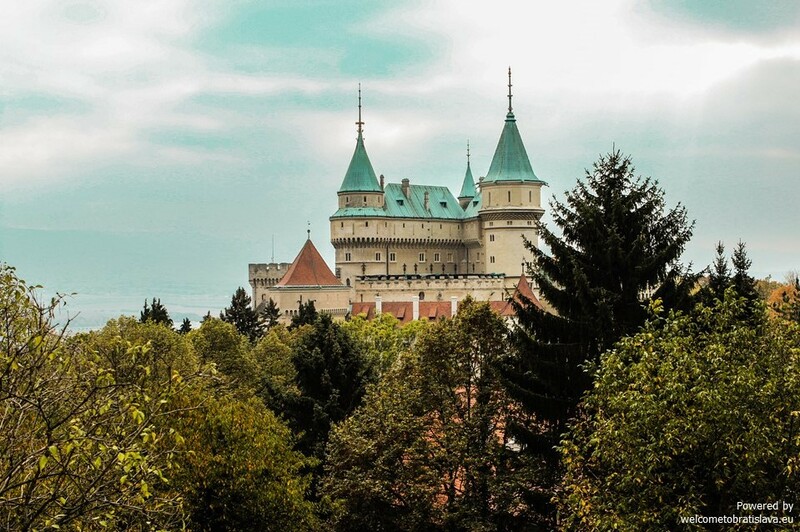 The romantic fairy tale Bojnice Castle is one of the most visited in Slovakia and for us definitely the number one. Only the foundations remain of the original 12th-century fortification which started to be built from wood. Afterwards, the castle was owned by many aristocratic families and each of them influenced its appearance. In the 13th century, it became a property of the famous Matthew III Csák (Matúš Čák Trenčiansky). 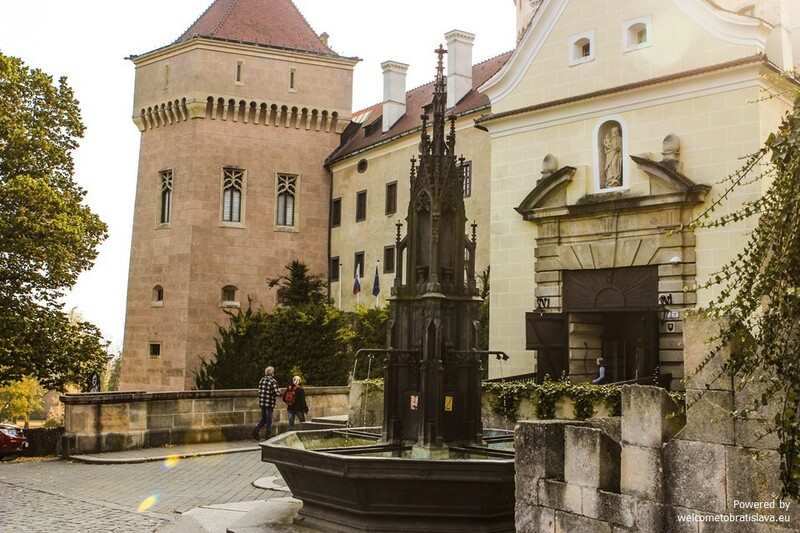 An early-20th-century reconstruction by the last owners, the Pálffy family, drew inspiration from the castle’s of France’s Loire Valley, lifting Bojnice to the neo-baroque splendour that stands today with its blushing pinkish sandstone towers and turquoise turrets. The count Pálffy did not live to witness the completion of the reconstruction works and died two years before. Since being a bachelor, family feuds started over the heirloom. The fortune became the property of the Baťa company and only after 11 years, the castle became part of the Slovak National Museum. Visits are by guided tour only and highly recommended by us – the exhibition is truly stunning. As part of the tour, you can visit a travertine cave under the castle and the Pálffy family tomb. As every proper castle has to have at least one legend, here are two legends about the Bojnice Castle we fell in love with. In the castle chambers, you can find a mirror – rumour has it that by glancing into it and smiling at yourself, you will become prettier immediately :) Another legend bound to the castle is about the Count Pállfy who is buried here – and haunts the castle to this day – you can hear him crying in the halls. If you want to experience castle’s spooky atmosphere, visit it at then end of April/beginning of May when the International Festival of Ghosts and Spirits takes place here. 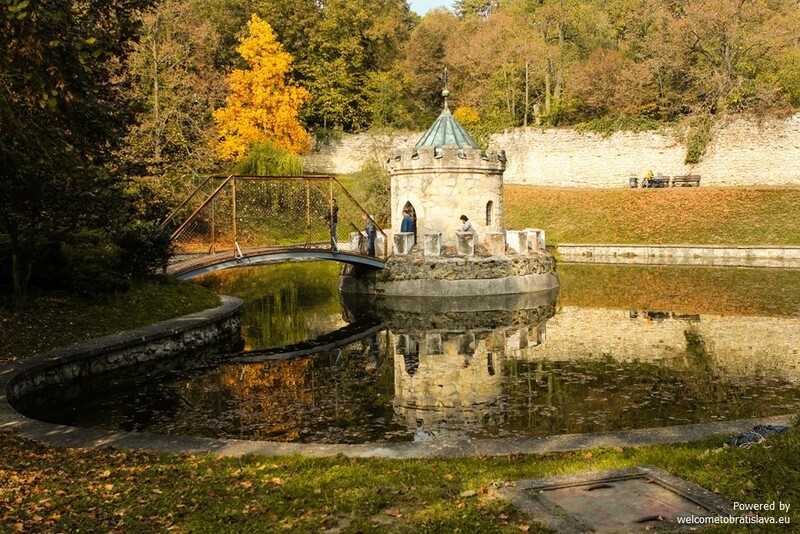 A beautiful landscape park is an integral part of the castle area. 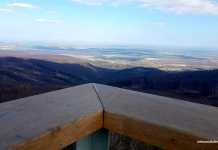 Visit it for a relaxing walk and mind-blowing photography viewpoints. During your walk, don’t miss the 600-year old lime tree of the King Matthias with 12.5-m trunk circumference that stands in front of the castle’s entrance. Our favourite spot is the bridge leading to a small island covered with love locks. 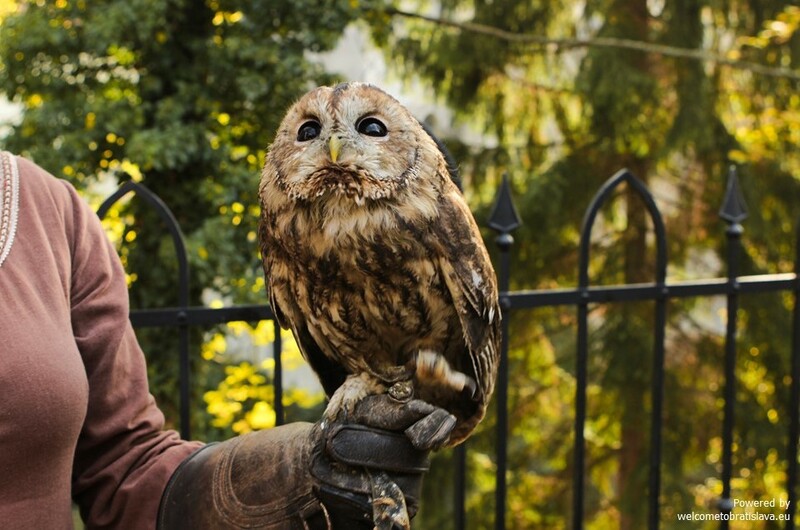 Another attraction is the performance of the local group of historical fencing Bojník and a show by the association of falconers Aquila. 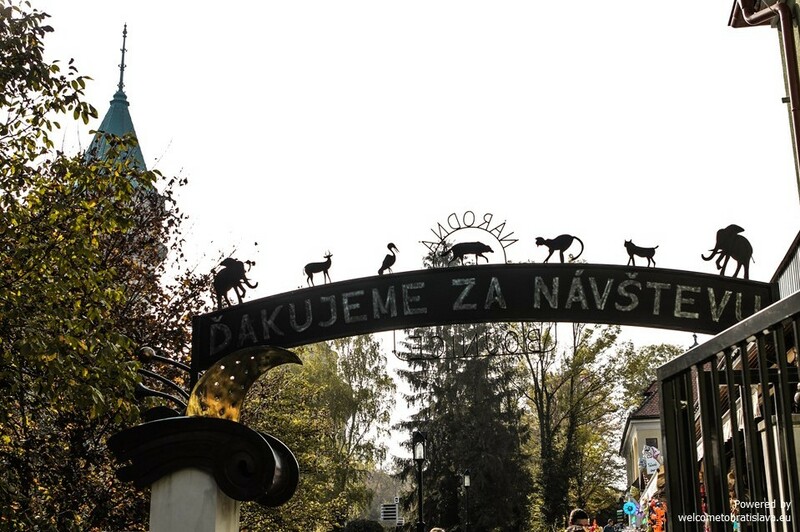 The Bojnice ZOO is the oldest and the most visited ZOO in Slovakia. It was opened for the public in 1955. 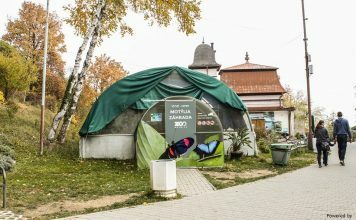 It covers an area of 41 hectares and is the only state zoo in Slovakia, run by the Ministry of Environment of the Slovak Republic. 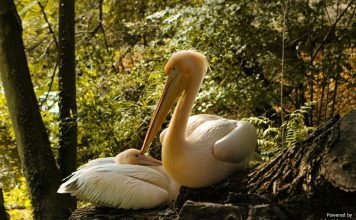 As much as we love our Bratislava and its ZOO, we honestly have to admit that we have not seen a more fantastic zoo in Slovakia than in Bojnice. 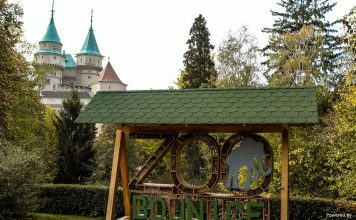 The animal enclosures are designed in a way that you can watch the animals up closely, all the individuals look well-kept and the surroundings provide a beautiful walk in the nature with a stunning view of the Bojnice Castle. 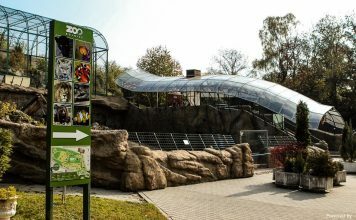 There are more than 430 animal species with over 3500 individuals, including elephants (which BTW we miss in the Bratislava ZOO), a butterfly garden (open July-September) and a reptile pavillion. Our tip: take cash with you, as no card payments are possible. The dino park Dino Adventure is of a smaller size but if your kids are in that “dino” phase, this is a must. 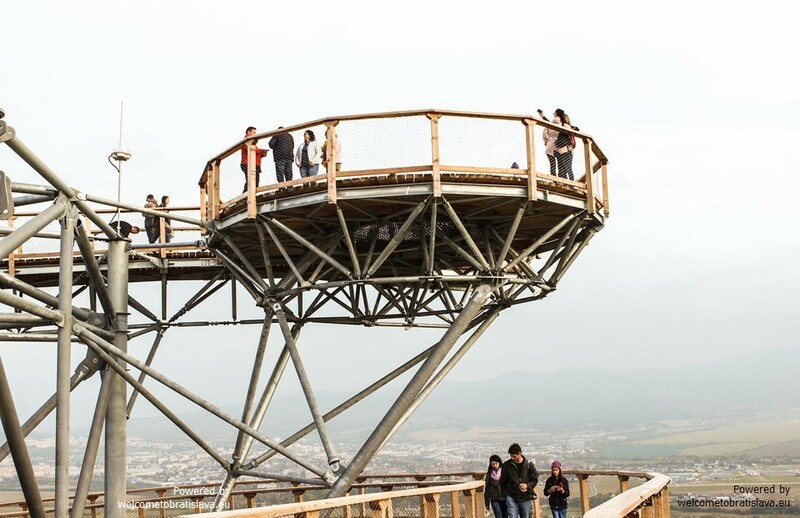 The recently opened observation deck was the highlight of our trip. 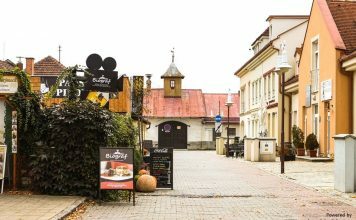 As it stands a couple of kilometres from the Bojnice town centre and the castle, we recommend that you use your car for the transfer. There is a free parking lot close to the deck (Autocamping Bojnice) but you still need to walk for a couple of minutes through the forest. 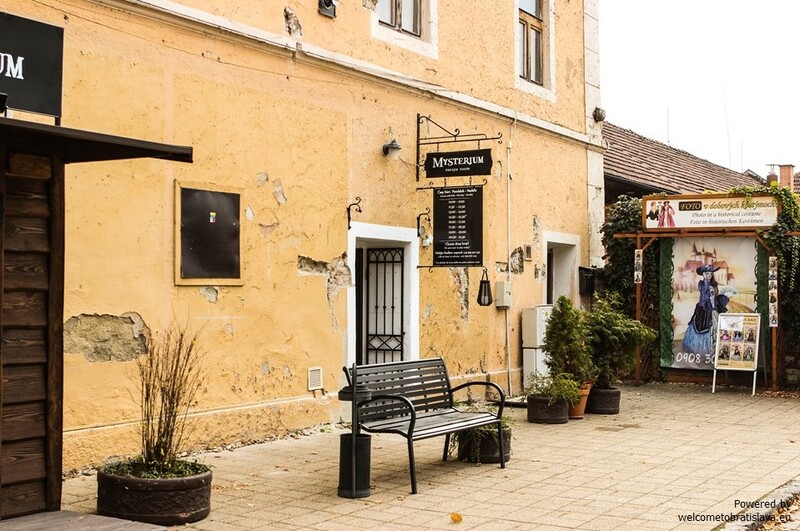 Another option is to walk for approximately 40 minutes through the woods following the yellow trail mark that starts at the Bojnice spa or take the local blue bus (from Bojnice Square (namestie) to Bojnice, Autocamping stop). The building of the restaurant Biograf used to be a cinema. The place is decorated with old posters and many historical artefacts connected with the movie industry. The atmosphere is very special and we were also pleased with our meals. They often organize various cultural events here such as movie screenings, a summer jazz festival or art exhibitions. Our tip: try the baked raspberries with mascarpone cream, so delicious! For vegetarians, we recommend Bar Veg which is however sadly open only during the warm months. As we have mentioned, if you decide to spend more time in Bojnice, you won’t regret it. There is so much more to see and do! And there are plenty of accommodation options to choose from. The Bojnice spa dates back to almost 1000 years ago – the earliest written mention of the thermal springs in Bojnice is found in a charter of the King Koloman (AD 1113). Its modern history is connected to Ján Baťa, who owned the spa from the 30s of the 20th century. All the treatments are based on the natural healing hydrogen-carbon-sulphate calcium-magnesium hypotonic thermal water rising out of 9 thermal springs here with the temperature ranging from 28 to 52 ºC. The thermal water improves metabolism and immunologic reactions in cells and has a positive influence on the vegetative nervous system, particularly on its parasympathetic part. On top of the positive healing effects, the spa area is well-kept and renovated, with many beautiful fountains, lakes and towers decorating its gardens. It is definitely worth a walk, even if you do not intend to take a treatment. If you prefer something more private, try the private spa at Bojnicky vinny dom – they offer a grapes peeling massage which we heard is outstanding. The mirror maze comprises of the endless corridors and optical illusions. You will be confused about which path is real and which is just a reflection in a mirror. The maze includes the mirrors with a distorted body reflection and clear glass corridors. Dimmed lights are controlled by a computer. The place is open only May-September. The escape room game in Bojnice Mysterium offers a fun activity lasting an hour, for a group of 3-6 people. There are 2 different games offered – the Alchemist and the Order of the Blue Rose. No language is needed to solve the mystery, as you will be mostly dealing with clues and symbols. Advance booking necessary. Bojnice is a crossing point of two main cycle paths – Rokošská radiála and Hornonitrianska magistrála. We recommend following the cyclo path Bojnicky cyklookruh in order to visit the main sights and enjoy the countryside. Bojnice is considered to be the jewel of prehistoric ages with the richest findings from the paleolithic era in Slovakia. 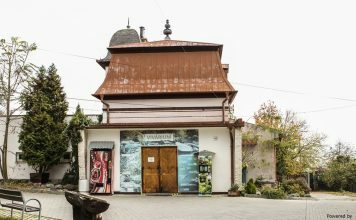 The museum is located at the authentic site in the area of the travertine cave Prepoštská, inhabited by the Neanderthals in the prehistoric times. 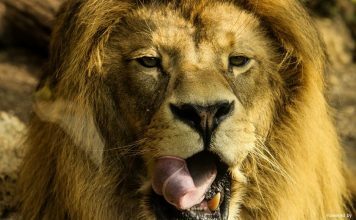 You will learn what tools the Neanderthals used, how they hunted animals or what they wore. From April to October, special night tours are organized with burning torches. The swimming pool Čajka offers a panoramic view of the Bojnice castle. It is by far the best and most popular swimming pool in the region. It has 5 swimming pools (50m swimming pool, 2 children’s pools and two stainless steel pools) and the thermal water has a temperature of 26-33 °C. Open during the summer season.